Next week in Israel distributed by Shanky’s. 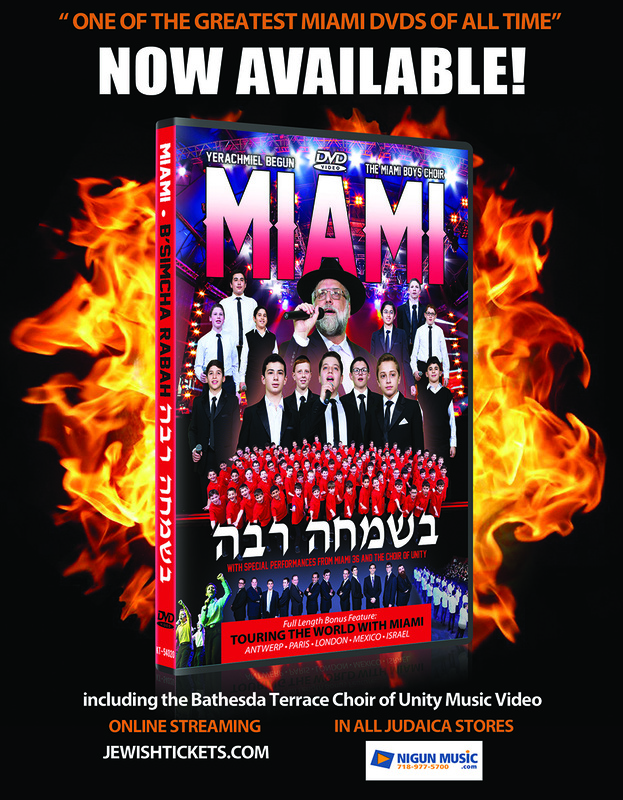 One of the greatest MIAMI DVD’S of all time, B’simcha Rabah hits it out of the park this Chanukah, making it the perfect family gift to watch over and over! Shot in HD 1920 by 1080 cameras, and directed by Jewish Films, the amazing coverage and cinematography of MIAMI’S song and dance is second to none. 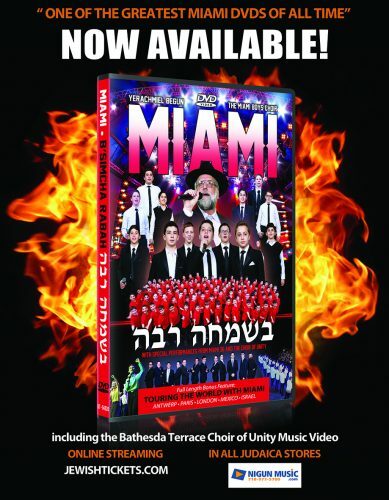 With all the new big MIAMI hits, PLUS the amazing 100 Voice Choir of Unity Music video. Performing the new hit song: Yachad: Unity – shot at the beautiful Bathesda Terrace in Central Park, this past June. With additional phenomenal performances by The Alumni Choir from MIAMI 36, Miami Five and much more. To top it off, in addition to the 1 hour jam packed action concert, there is an aprox 40 minutes bonus feature: TOURING THE WORLD WITH MIAMI. See the choir on tour in Antwerp, Paris, London, Eretz Yisroel & Mexico. Yerachmiel Begun & The Miami Boys Choir. Number 1 and better than ever.